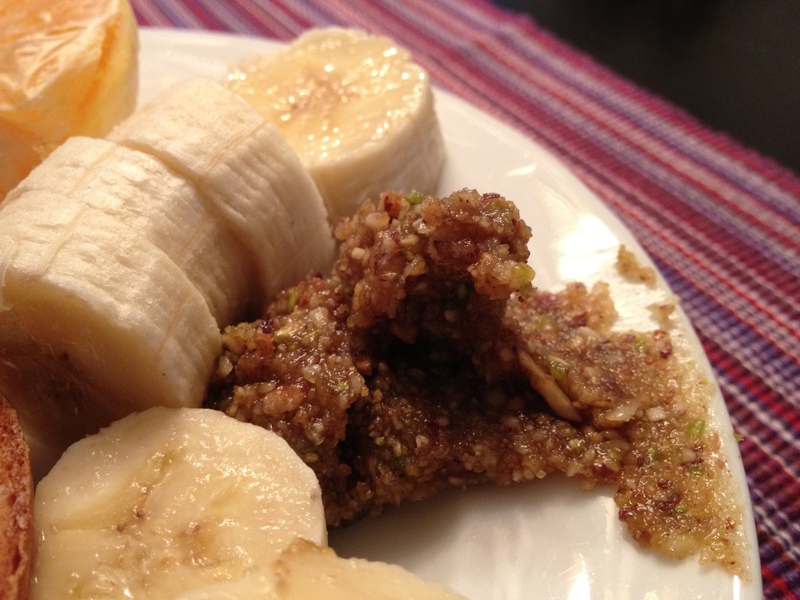 Baklava Butter and Bran! I’ve been meaning to get these photos and recipes out since I made them LAST weekend, and since it’s now the beginning of a new weekend…well, I did my best. I’d purchased the ingredients for Good to the Grain’s Molasses Bran Muffins awhile ago, but never got around to actually making them. In terms of actual product, they turned out quite well. The texture was great and they were very moist. However, they are featured in the Amaranth flour chapter, and Amaranth has a bit of a, well, “dirt-like” taste to it. I mean, it’s not like you’re eating dirt or anything, but you definitely get a hint of the flavor of the flour, which is very earthy. Quinoa flour is a lot like Amaranth. While I think of Good to the Grain (GG) as one of my very favorite cookbook (reserved for the likes of Barefoot Contessa, Foster’s Market and King Arthur Flour’s Whole Grain Baking), I have to offer this HUGE disclaimer: Unless you are prepared to buy a gazillion small bags of different, hard-to-find types of flour, do not buy this book. I’m definitely having a blast baking my way through it, (my goal is to make EVERYTHING) and a couple of the chapters are dedicated to widely available varieties, like whole wheat, buckwheat, spelt and rye. However, the rest of the chapters cover kamut, millet, quinoa, teff, etc… I ended up placing a huge Bob’s Red Mill order awhile back and all my small bags of flour take up the entire door of my freezer. Anyway, I love the book but it’s definitely not for everyone. I’ve really enjoyed reading it and getting to taste the nuances of the different flours and some of the recipes are absolutely fantastic. This one, however, wasn’t all that great. It’s not that there was anything wrong with it; I just don’t know how often I’ll be making bran muffins with Amaranth flour. 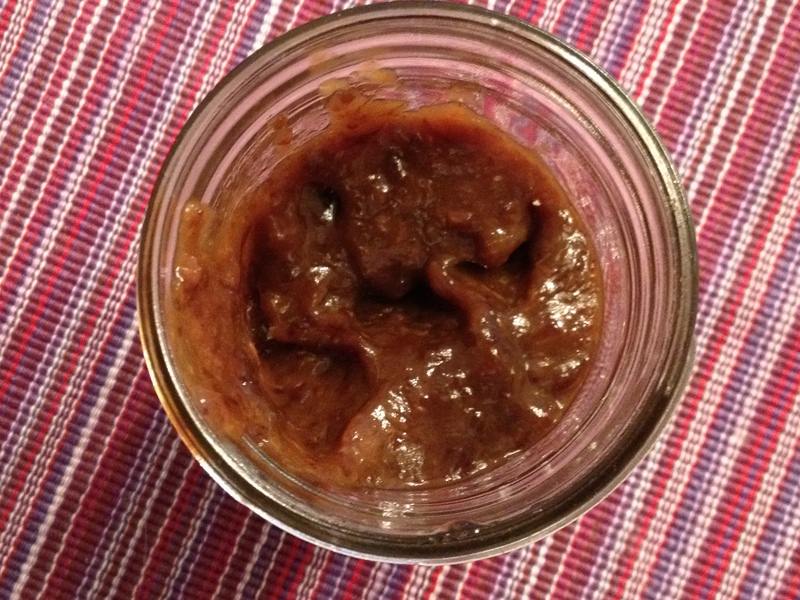 The Molasses Bran Muffins called for homemade prune butter, which couldn’t be simpler. Warm juice, pour over prunes to soften (about 15-20 minutes), then puree in a blender or small chopper. 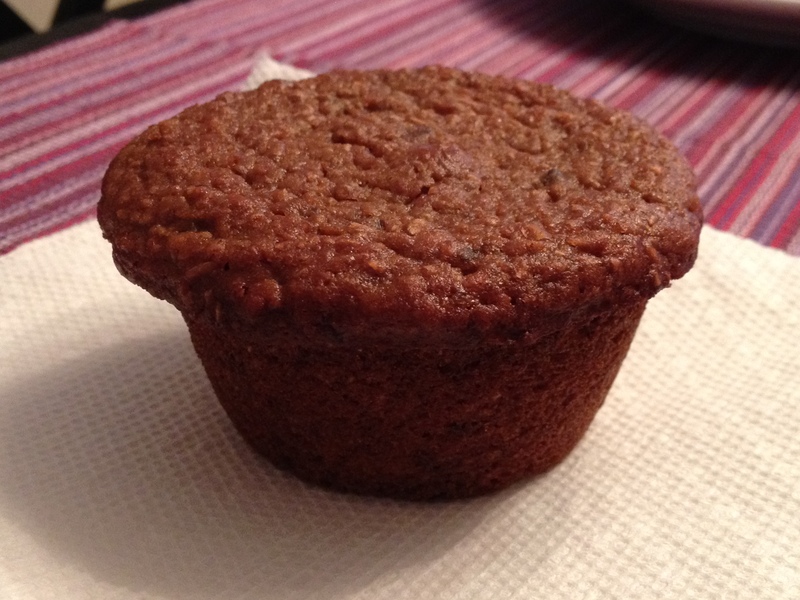 The recipe made about 3x what the muffins needed, so I (happily) ended up with some leftover to put in a jar. I mixed a little with some goat cheese on a homemade bagel here. If you’re afraid of prunes, don’t be. They’re just dried plums (who doesn’t love plums?!) and they are awesome. I think Sunkist (or Sunsweet?) makes a version that has “cherry essence” in them or something. Not sure how natural those are, but they are like candy, let me tell you. OK, this one takes the cake for being the most awesome recipe EVER. 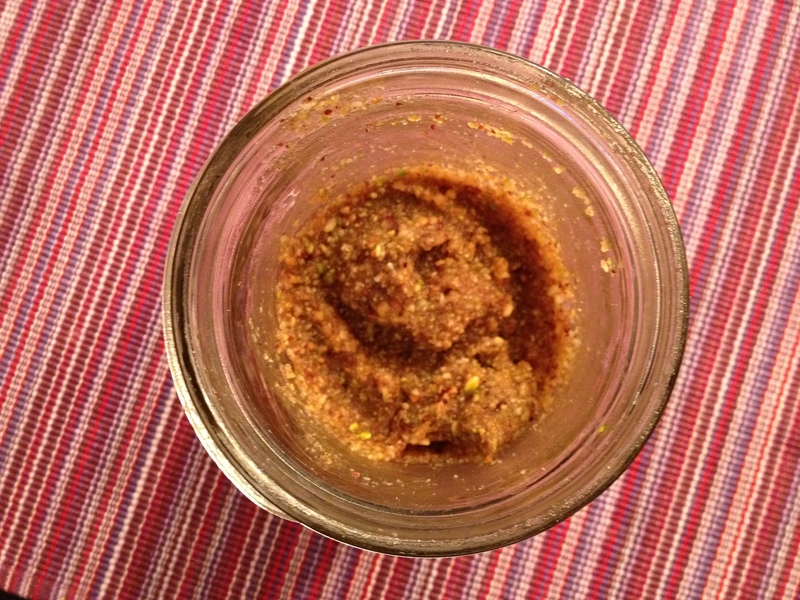 If you’re a nut butter lover (ahem, Emily and Susy, this is for both of you! ), make this IMMEDIATELY. You will not regret it. It’s such a snazzed-up version of regular peanut or almond butter, and (surprisingly) has fewer calories! Just throw them all in the blender and pulse away! Mine came out a bit “chunky” but they were tiny pieces and I kinda liked the texture. I love it on toast with some orange marmalade (or a little more honey–it’s a little dry) or with a banana. Seriously incredible, people. I WILL be making this a staple in the nut butter rotation. While I’d LOVE to do more baking this weekend, I don’t know if our tummies can take it! I just made a loaf of bread (it didn’t fall!) and I still have some muffins left over in the freezer, as well as a bunch of slices of the Honey Polenta Cornbread (from GG) that I made with beef stew last night. Andrew wasn’t a huge fan (apparently he doesn’t really care for honey, who knew?? ), but it was basically like a brown cornbread with a thick, gummy honey layer mixed into the top. Wonderful warm. I had a piece for breakfast and it (along with some plain yogurt) kept me full til AFTER running an errand after school–WOW! Anyway, with all of our leftovers (and a hubby who doesn’t like to “finish things off” so as not to waste food–so unlike the father of my childhood), I don’t know that I can justify another batch of anything for at least a few days. My recipe-finding is exponentially faster than my recipe-making…sigh. Posted on February 4, 2012 February 27, 2016 by thehealthypineapplePosted in #fabfood, Breakfast & Breads, SweetsTagged amaranth, ancient grains, bran, bread, breakfast, cookbooks, honey, King Arthur Flour, nut butters, whole grains, yogurt. Previous Previous post: This calls for a celebration!